"This is Chrys Fey reporting for Disaster 5 News. I am in Sault Ste. Marie, Mi where a tsunami hit yesterday morning. I have Patricia Lynne with me, a survivor of the tsunami. Patricia Lynne, can you tell our viewers what happened, and how you survived?" Well, anyone native to Michigan knows the only thing Mother Nature likes to throw at us is snow, but I guess she was feeling extra salty for some reason and given there's water on all sides, a tsunami must have been easy peasy. 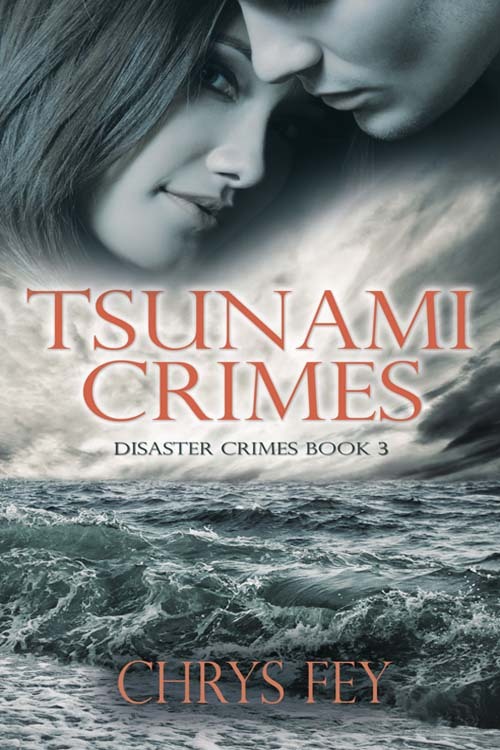 BLURB: Beth and Donovan have come a long way from Hurricane Sabrina and the San Francisco earthquake. Now they are approaching their wedding day and anxiously waiting to promise each other a lifetime of love. The journey down the aisle isnât smooth, though, as they receive threats from the followers of the notorious criminal, Jackson Storm. They think theyâll be safe in Hawaii, but distance canât stop these killers. Not even a tsunami can. This monstrous wave is the most devastating disaster Beth has ever faced. It leaves her beaten, frightened. Is she a widow on her honeymoon? As she struggles to hold herself together and find Donovan, sheâs kidnapped by Jackson's men. Fearing her dead, Donovan searches the rubble and shelters with no luck. The thought of her being swept out to sea is almost too much for him to bear, but the reality is much worse. Sheâs being used as bait to get him to fall into a deadly trap. Eerie or Erie? Three lakes huh? We just have one, but with Lake Ontario just a few miles from our house, maybe I should worry about rogue waves. Water from all three lakes rose up. Gosh, Now that would be scary. Have to rename the new big lake it made. Oh that was so clever. Loved it, short and sweet too. You picked a good day to be a tourist. That's a lot of water. 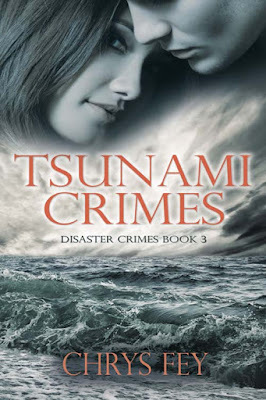 What would it be like if the snow and tsunami came at the same time? Cool idea for a blog hop! Must be a bit hard if you live inland though. I like your idea of being in a tall building during a tsunami. Wishing Chrys much success and have a great weekend! Tsunami in Michigan? Wow, it really sought you out, didn't it? It would totally be frightening if a tsunami came out of the Great Lakes! You've done a super job on your hop, Chrys. So great to see you and your booksn everywhere today. A tsunami from lakes would be something to witness--from a safe distance. Congrats to Chrys!